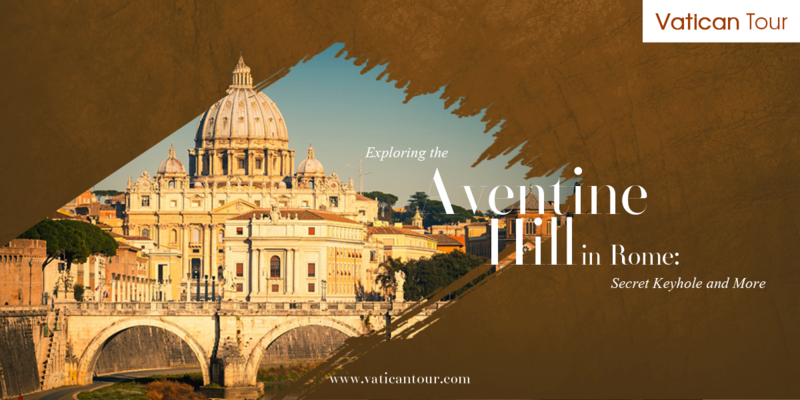 Deep-rooted in history, the Aventine Hill ascends from the edge of River Tiber and is the southernmost of the city’s renowned seven hills. This ancient hill finds mention in Rome’s founding legend. Remus, one of the twin brothers responsible for establishing Rome, chose this hill to set up the initial settlements of the city. In the Roman Empire, this area was the abode of upper-class residents and several places of worship. In our day, this scenic hill, existing right at the core of Rome’s bustling centre, serves as a peaceful escape from all the hustle and bustle. It is an exceptional spot for leisurely strolls, with charming views and a chance to explore exciting treasures from the past! Below is a list, created by Vatican Tours, of some superb attractions you must visit if you’re travelling to Aventine Hill. An ordinary keyhole on an unmarked door located in a piazza on Aventine Hill can offer one of the most picturesque and mysterious views in Rome. Besides the beautiful view, another thing adding to its allure is the mystery surrounding its origin. Maybe they are just well guarded secrets, but till date no one truly knows why this special keyhole was created. What is known about the Aventine Keyhole? Peeking through this magical keyhole, three countries, namely Italy, Vatican City and Malta, fall in your line of vision. The region immediately behind the door is Maltese soil, belonging to the Knights of Malta – their estate has been given extraterritorial status by Italy. The view just after Maltese land is of Rome, Italy. 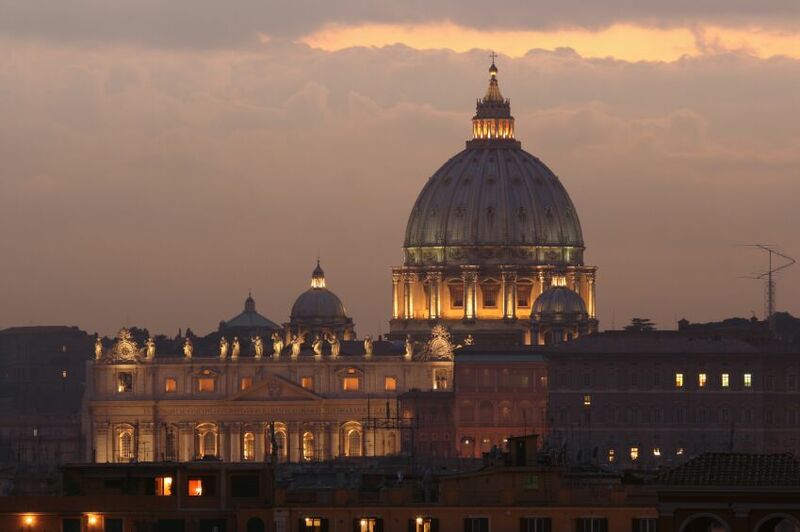 The farthest view comprises St Peter’s Basilica, which lies in Vatican City, the smallest sovereign nation on earth. Pretty stunning for such a humble keyhole! The green door with the famous keyhole is actually the doorway to Villa del Priorato di Malta, belonging to the Grand Priory of the Sovereign Order of Malta – the oldest chivalric order existing in our modern world. 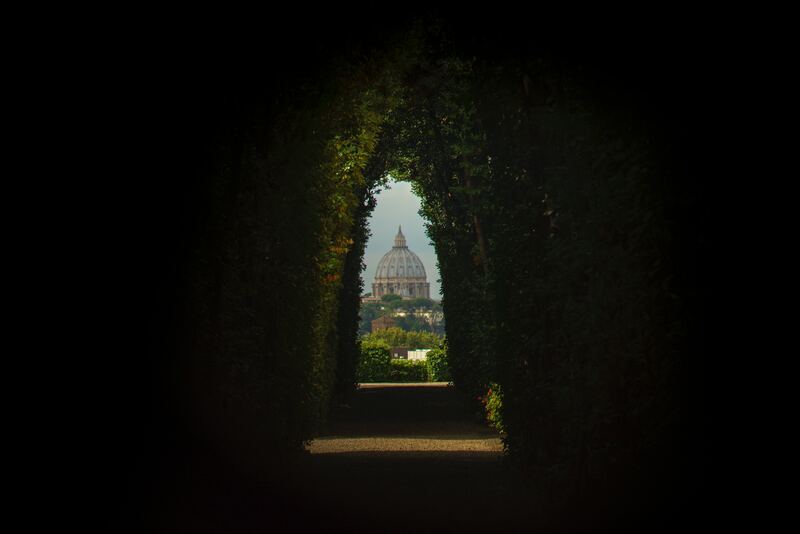 The view from the keyhole presents a flawless alignment of the villa hedges with the dome of St Peter’s Basilica – truly marvellous and enticing! The villa originated in 10th century as a monastery and went through numerous orders before coming under the Order of Malta sometime in the 1400s. In the Middle Ages, its strategic location on high grounds overlooking river Tiber made it an appropriate defence ground for Templar Knights, who were celebrated for their exceptional fighting skills and involvement in great religious battles. Following their defeat, the property was eventually passed onto the Knights of Malta, who are the villa’s current owners. Beyond this general idea, many questions still remain shrouded in mystery, most important one being – who carved this fascinating keyhole? The name of this garden comes from the plentiful bitter orange trees filling it! According to legend, the first orange tree on Roman soil was planted in this garden by Spanish Saint Dominic. Also called ‘’Parco Savello’’, this park offers stunning panoramic views of Rome. In fact, it was constructed in 1932 by designer Raffaelo de Vico to take advantage of the wonderful view from the margins of the hill and offer public access to the vista. Apart from gorgeous statues, intriguing ruins and a fountain that welcomes visitors with its frowning face, you’ll find nice, shaded spots to spend a relaxing time with friends or family. Moving forward on the pleasant walkway, you’ll reach a scenic terrace offering breathtaking sunset views – it is frequented by tourists as well as locals. This idyllic venue has become all the more popular since its appearance in a scene of the movie ‘’The Great Beauty’’! On seeing the intriguing marble face with a ghostly, gaping mouth, the first image that comes to our mind is the famous scene from the 1953, Audrey Hepburn and Gregory Peck starrer ‘’Roman Holiday’’! 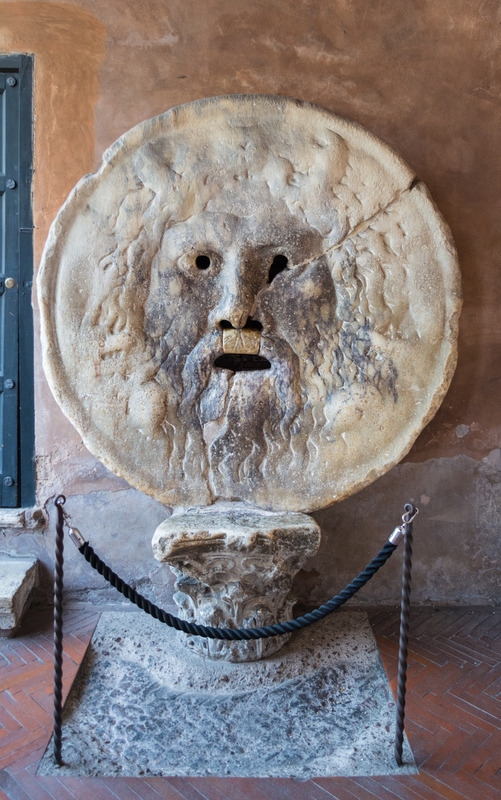 ‘’Bocca della Verita’’, meaning ‘’Mouth of Truth’’ in English, is an enormous marble disk portraying the face of Oceanus, who is the deity of all oceans and water. Sitting on the porch of the very old Basilica of Saint Mary in Cosmedin, this 1300 kg marble sculpture hooks visitors with its unusual features – wide eyes, open mouth and thick, flowing mane. Curious travellers flow in from all around the world to test the gruesome legend associated with the Mouth of Truth. Since the Middle Ages, people have believed that the open mouth closes on anybody’s hand who speaks a lie with his/her hand inserted in the gap! Beside these three sights, there are many more interesting spots, like the Basilica of Saint Sabina, Rome’s earliest Christian church, and Temple of Portunus, whose architecture gives us an idea of the grandeur of Republic era. Except for the secret keyhole, exploring Aventine Hill is usually a quiet and charming experience free from crowds. But while travelling around other world-famous sights in Rome, like the Colosseum and Vatican Museum, you need to tackle long lines and high footfall. However, you can have these masterpieces all to yourself if you book our private tour of Rome for families!